Whether you are looking to clean up the look of your landscaping or have an unsightly tree that is dying and causing damage to your property, you can call Advanced Tree Service LLC for prompt and professional help. This company has been working in the local area for over 12 years. In this time they have offered everything from tree cutting and removal to chipping and stump grinding. Hiring this insured, expert service means having a yard that always looks flawless. Eco Tree Service is one of the few tree care companies that offers 24/7 emergency services as well as scheduled maintenance and landscaping. Knowing that you can have a pressing tree issue at any time is what drives this company to be as available as possible to their customers. This is just one of the features that reviews say make the company the best. 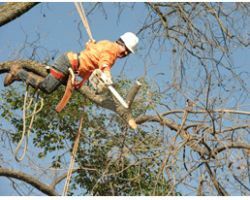 All of their tree pruning, grinding, removal and general tree care is carried out by or under the direction of a certified arborist so you can be sure the job gets done right. 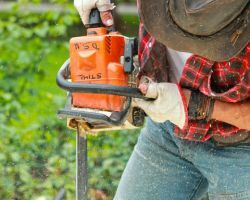 As tree pruning contractors, the team at Organically Grown is always focused on providing customers like you with the services you need in the safest and most efficient way possible. 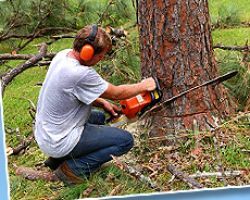 This team does not want to interrupt your life more than is necessary so they complete the tree removal or trimming as quickly as possible without putting the team or other aspects of your property at risk. For commercial or residential Colorado Springs tree removal, this company has over 25 years of experience. The expert team at Guthrie & Associates includes trained arborists and tree specialist that have years of experience in the industry. They always offer professional and timely services that will have your tree issue solved in no time. This team offers complete landscape overhauls as well as replacing sods, trees, shrubs and more. 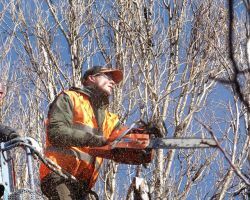 They also specialize in Elm and Locust tree trimming, stump grinding and removal and they also have vast experience with the trees that are native to Colorado. 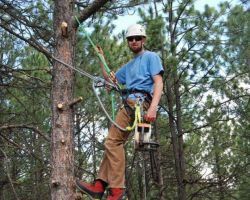 Since 2009, Willis Timber Works has been offering affordable tree service in Colorado Springs, Co. This family owned local tree trimming service is dedicated to customer satisfaction. Whatever tree-related service you may need, this team is able to keep their prices low without ever compromising the quality or the safety of their services. The free estimates will give you an idea of how much this company will charge to meet your specific needs. This rate will always be relatively cheap and always be as close as possible to the final prices.